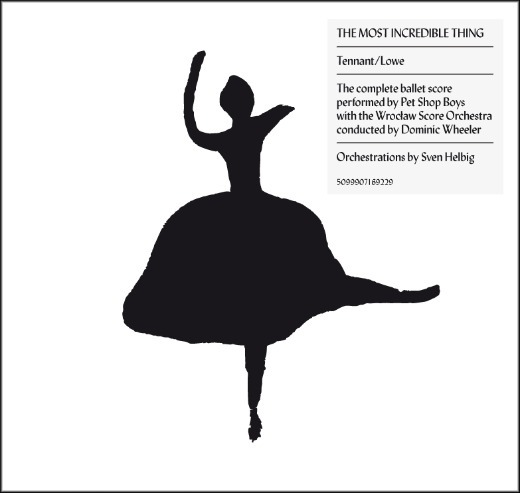 On March 14 a double-CD of the music from the ballet The Most Incredible Thing is released under the name Tennant/Lowe. It contains the full performance score of the ballet with orchestrations by Sven Helbig. On March 17 the ballet The Most Incredible Thing has its first public performance at Sadler’s Wells Theatre in London. Its genesis can be traced back to a week in where, by chance, two initially unrelated events took place. Ivan Putrov, a principal dancer at the Royal Ballet whom the Pet Shop Boys had got to know through Sam Taylor-Wood, called Neil to ask whether they would write a piece for him to dance to. Two days later, before Neil had even had a chance to ask Chris, Chris called to say that he’d just read a story in a new translation of Hans Christian Andersen’s tales that he thought would make a great ballet: “The Most Incredible Thing”. This eventually led to the Sadler’s Wells production, choreographed by Javier de Frutos and starring Ivan Putrov, Clemmie Sveaas and Aaron Sillis. All ten performances sell out. On May 27 the Pet Shop Boys appear at the Sunderland Stadium of Light, joining Take That at their invitation as “special guests” on their first reunion concerts as a five-piece on what will be the biggest British tour ever – 29 British stadium shows – followed by a short European leg. “45 minutes of intensity,” says Chris. On December 31 the Pet Shop Boys appear at a New Year’s Eve concert on an island in Sydney Harbour.